I have been asked to write not as a security professional, but as a father and a veteran. 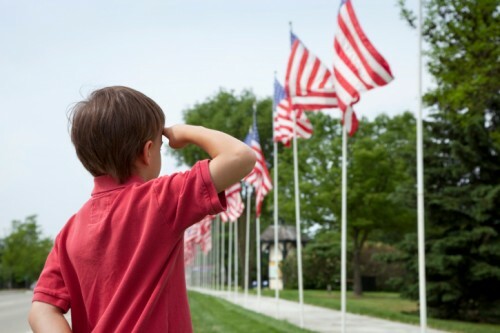 I was asked, "What do you tell your kids about those who served our country on Memorial Day?" I suppose, being an ex-soldier and a father, I do have some experience; however, I am not a political analyst, a military history buff, nor a philosopher who dwells deeply on the meaning of such things. This being an oft politicized issue, it can be controversial for some. So, before I begin, allow me to say these are solely my views expressed as an ex-soldier and a loving father. In order for my children to truly understand, they must first learn to appreciate life and all of the comforts and freedoms they have. I must teach them to appreciate these things while also teaching them that not everyone in the world has as much. I must teach them fairness, honor, integrity, and the value of hard work. I must teach them that life is not a race to obtain more than others; rather, it is a balance where your achievements should be measured internally, not outwardly. While this lesson is being learned, I must nurture a caring spirit within them. I must, by example, show them how to empathize and sympathize with others. In order for them to understand, they must also be able to empathize with the pain, suffering, hunger, of others. Once my children are mature enough to begin to understand, I show them the freedoms we have in the United States of America. I give them examples of life goals they may wish to set for themselves and how they have the freedom to work hard to chase their dreams. Once I feel they truly appreciate everything they have while empathizing with those who do not, only then do I explain why men and women join the military, for only then can they truly appreciate the sacrifice people are willing to make in order to preserve our way of life. The military is not for everyone and I know no soldier who harbors any disrespect for anyone who does not join. It is quite the opposite. Most soldiers join because they feel deep patriotism, they value the rights and freedoms we have in the United States of America, and they care deeply about preserving those rights and freedoms for everyone in this country. 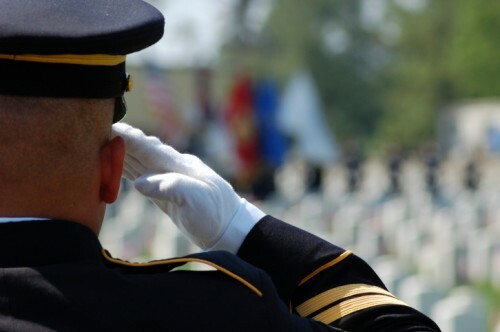 As for Memorial Day, it is not about honoring soldiers; rather, it is about remembering and honoring those men and women who paid the ultimate price for our freedoms. They were mothers and fathers, sisters and brothers, daughters and sons who gave their lives defending our rights and freedoms. Some people might say that Memorial Day should not be an excuse to have a picnic with your family or to throw a barbecue. I don’t see it that way. While I think we should acknowledge those fallen soldiers who fought for our freedoms, I also think celebrating those freedoms, building bonds with family and friends, and rejoicing in the fact that those freedoms are still ever present is the best way to honor them. With that, I bid you a Happy Memorial Day! Jody is my son-in-law and so some might consider this a bias statement; however, I would say "Thank You" to him for his comments and for being a good dad to his children.